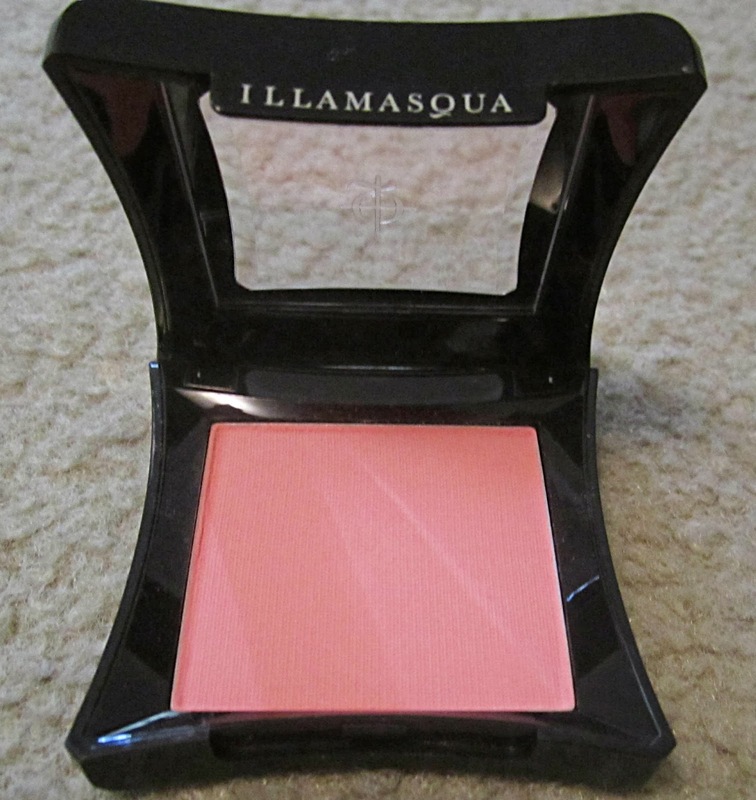 I live in the Toronto area and recently a handful of Illamasqua booths have popped up in certain The Bay locations. I think there’s only a small number so far and I don’t know if anywhere else in Canada has them because Toronto is usually the first city to get anything like this before it spreads to other major cities. I was walking through Sherway Gardens mall when I stumbled upon the counter and of course the makeup artist offered to put some makeup on me and I was sold. First I tried out one of the matte lipsticks which I have to say is incredible. They are so highly pigmented it’s crazy and it didn't bleed even without a lip liner. This lipstick got me through drinking lots of water from a BOTTLE, eating pizza (I know isn't that crazy? ), and taking loads of liquid cough syrup. It lasted me from 11am to when I removed it at 6 pm and it wasn't even faded… I definitely need to stock up on some of these. The price was $24 which is more expensive than Mac but I do find these matte lipsticks last way longer and I would recommend them. The Regional Trainer was there and he suggested I try the skin base foundation which is a primer foundation and concealer all in one. It was pretty amazing, after one light coat all my flaws were covered and the girl just dabbed a bit more under my eyes and on an acne spot I had and it doubled as a concealer. It leaves a flawless finish and with some of the setting powder I barely got oily only needed to blot around 5-6pm before I went out for dinner. My foundation lasted me until evening without getting patchy or cakey. With foundation application blush always has to be put on.. especially with skin as light as mine. They have 26 shades and I was colour 6, so they do cater to a lot of extremely fair girls and a lot of deeper skin tones as well which is extremely important. She ended up putting a very light blush in the colour tremble on me which is a beautiful light peachy pink and I ended up purchasing it. I suggest this shade for any girls who are extremely fair like me and it is super pigmented so it really translates on the skin. If you are more medium you can try this shade, building it up it would look very pretty but if you border on a darker medium skin ton it definitely would be too light and I would suggest some of their deeper shades. 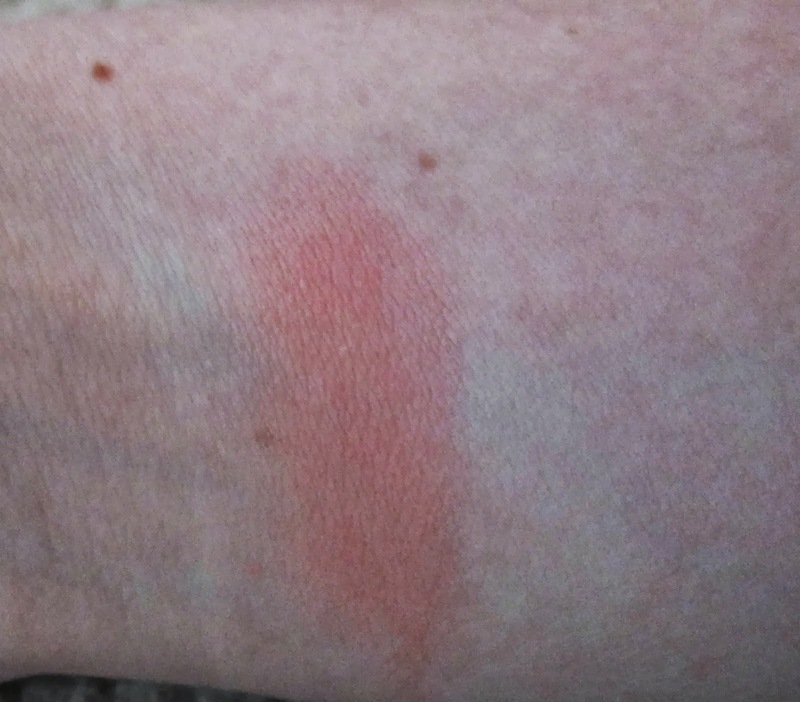 The blush did not need to be reapplied even after 7 hours so it is extremely long wearing and highly pigmented. They are known for their blushes so I seriously recommend checking them out. They cost $26 but it’s worth it because they’re such good quality and so beautiful. 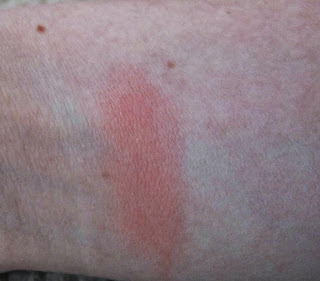 The swatch is not translating extremely well on camera. It looks very peachy here but it is more pink than peach. Hey! This is a great post. Thank you for sharing. 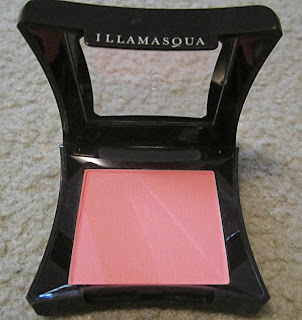 I have not tried Illamasqua blush before and definitely wish to try one soon. The blush color is gorgeous too. Love that it last long and is very pigmented. I hope that you want to follow me back.